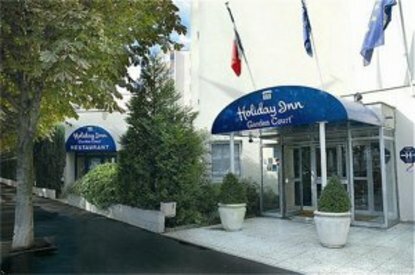 Holiday Inn Garden Court Paris-Porte de Saint-Ouen is situated in the heart of an International business park. Business interest: Palais des congres, Espace Champerret, Parc des Expositions. Leisure interests: Famous flea market of Saint Ouen, Stade de France, Montmartre. Access from Roissy CDG Airport : 35 min by taxi, 40 EUR. Holiday Inn Garden Court Paris-Porte de Saint-Ouen offer 120 comfortable rooms with warm atmosphere : WIFI, individual air conditioning, satellite TV. Our restaurant "La Fontaine"